Burlap is not just for potatoes anymore! 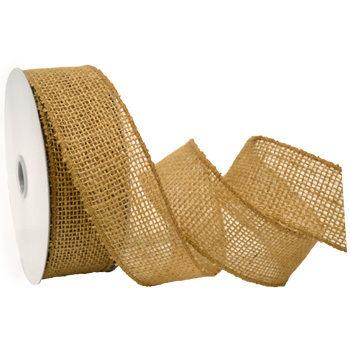 Our Burlap ribbon is offered in the traditional natural color and hot trendy colors as well. Made from 100% jute. Add a modern, yet earthy feel to your projects with this wonderful wired ribbon.